First edition of Angell’s autobiography of his early years growing up in New York. Octavo, original boards. 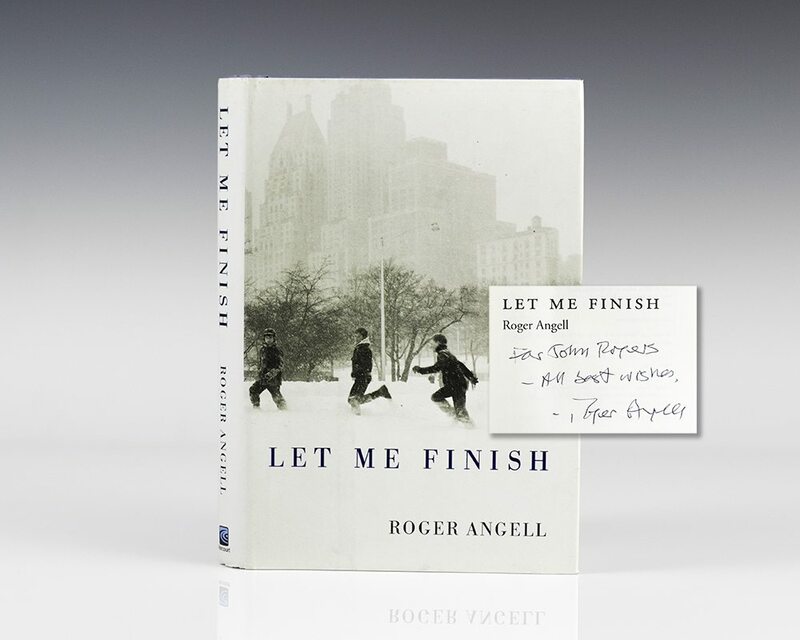 Inscribed by Roger Angell on the title page. Fine in a fine dust jacket. Jacket design by Cooley Design Lab. "A lovely book and an honest one . . . it contains truths: about loyalty and love, about work and play, about getting on with the cards that life deals you. It’s also a genuinely grown-up book, a rare gem indeed in our pubescent age" (Washington Post). First edition. Octavo, original cloth. Signed by Roger Angell on the title page. Small stain to the bottom page edges, near fine in a near fine dust jacket.